– FREE Expert Setup & Installation! 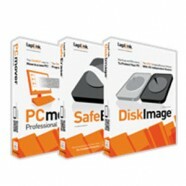 – Can be installed on up to 3 Devices. 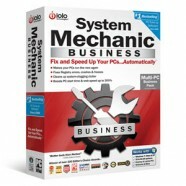 Categories: Optimizers & Diagnostics, System Utilities. Tag: Total Defense. 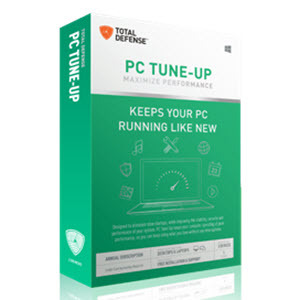 Total Defense PC Tune-Up is designed to eliminate slow startups, keep your computer operating at peak performance, while improving the stability of your system to keep it running like new. 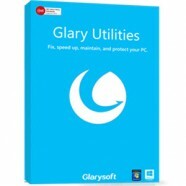 An easy-to-use interface makes it simple to understand and maintain your PC. Detection and resolution come together with this one-click feature that lets you scan and fix issues on your PC at once. 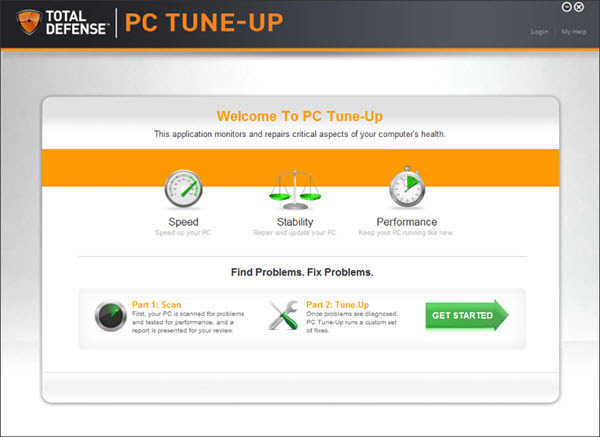 PC Tune-Up examines your internet settings and determines the best modifications to maximize online performance. The disk clean function sports some improvements to eliminate unnecessary files and reclaim more space on your PC. PC Tune-Up scans for and repairs registry errors to speed up your PC. NEW! Faster Scan Speeds: Offers a simple, fast and easy-to-use scan that finds and fixes problems. NEW! Download Accelerator: Faster downloads from the internet. Single, Integrated Scan and Fix Capability: Offers a simple, easy-to-use scan that finds and fixes problems. PC Optimization: Scans for and corrects problems that affect your system’s performance. Junk File Removal: Seeks out and removes identified unnecessary files from your hard drive. Hard Drive Defragmentation: Reorganizes and defragments your files to improve system start-up and application launch speeds. Memory Optimization: Removes unnecessary background processes and applications that steal memory from your system. Internet Optimization: Examines your internet settings and determines the best modifications to maximize online performance. Registry Optimization: Scans for and repairs registry errors to speed up your PC. Automatic Driver Updating: Checks your driver files to enable the most stable and up-to-date drivers and updates them automatically. Remote Scheduling: Schedule scans and repairs remotely to keep all of your PCs, regardless of location, at peak performance. System Benchmarks: Records your system performance, allowing you to compare your system’s speed to millions of other systems.